BEAUTIFUL Engineered hardwood floors just installed! Better than new construction with sprinkler system and large covered back patio! 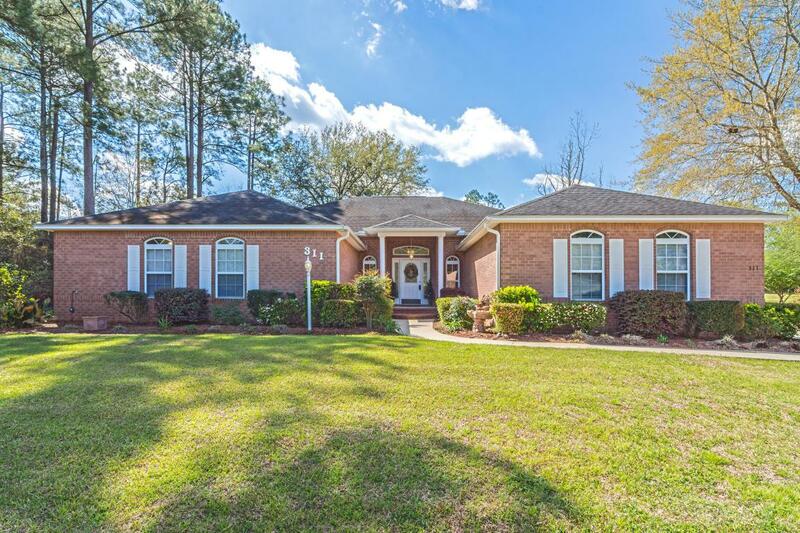 4 bd/2ba home with an added office AND formal dining room on .33 manicured acres. Backs up to Foxwood. Large kitchen with tons of cabinet and counter top space- New backsplash. Large pantry closet, laundry area with sink and cabinetry. Everything certainly has its own space in this one. Master bedroom has treyed ceilings, large bath with separate shower and garden tub, plus dual vanities. There is a heated/cooled storage room built on the back of the house as well for added storage for items that allow more room in your garage! 1yr AHS Home Warranty provided. HOA no longer active- you can fence!220 wiring on porch for hot tub etc and also wired in one bedroom for 220 gas logs with propane tank for fireplace. Keypad for easy garage access. Attic insulation updated/added in 2017. Pocket doors. Marble window sills. Golf course is maintained by bank (owner). Voluntary HOA. Cable/electric outlets above mantle. Negotiable- Bose surround sound system installed in past 4 years.